서, 남해안에서 채취한 돌자반을 엄선하여 고소한 참기름, 들기름으로 볶아 맛과 향이 뛰어나고 영양간식 반찬용 및 술안주로 인기가 좋습니다. 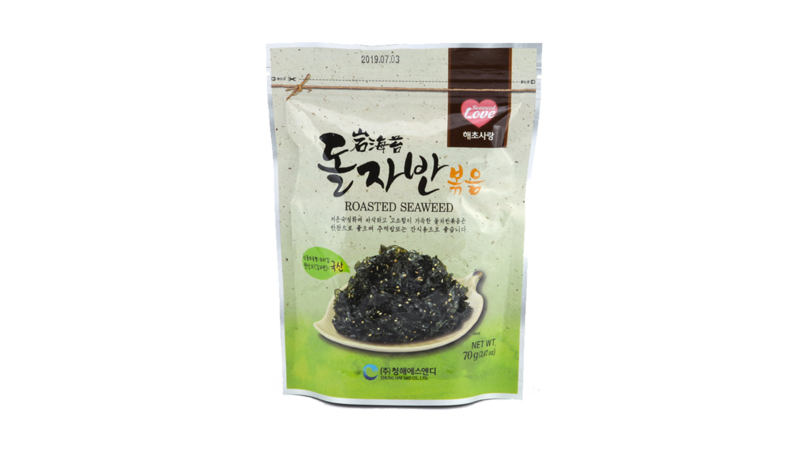 Strictly selected stone roasted laver from West and South Coast is roasted in perilla and sesame oil that it has outstanding taste and scent that it is great for nutritious snack for children and side dish for meal and snack. 지퍼 백으로 제작되어 드시고 난 후 보관이 용이합니다. The bag is easy by having the zipper pack.